Prepare for an evening of refreshing milk and delicious cookies. 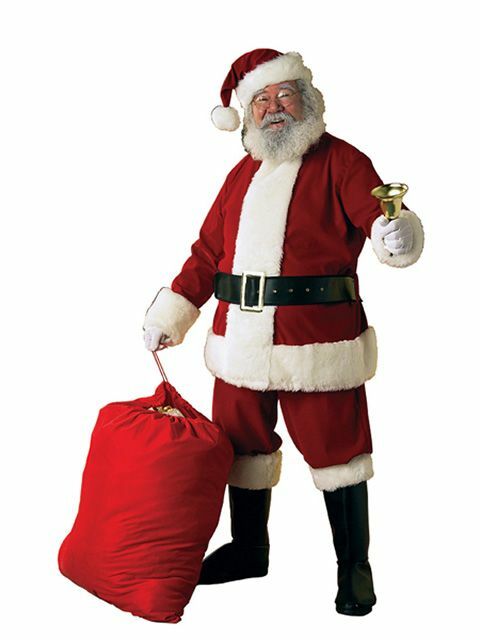 The Deluxe Velvet Santa Suit Adult Costume includes a red and white jacket, pants, belt with buckle, hat, and boot tops. Purchase the beard, wig, and white gloves set to complete the look.